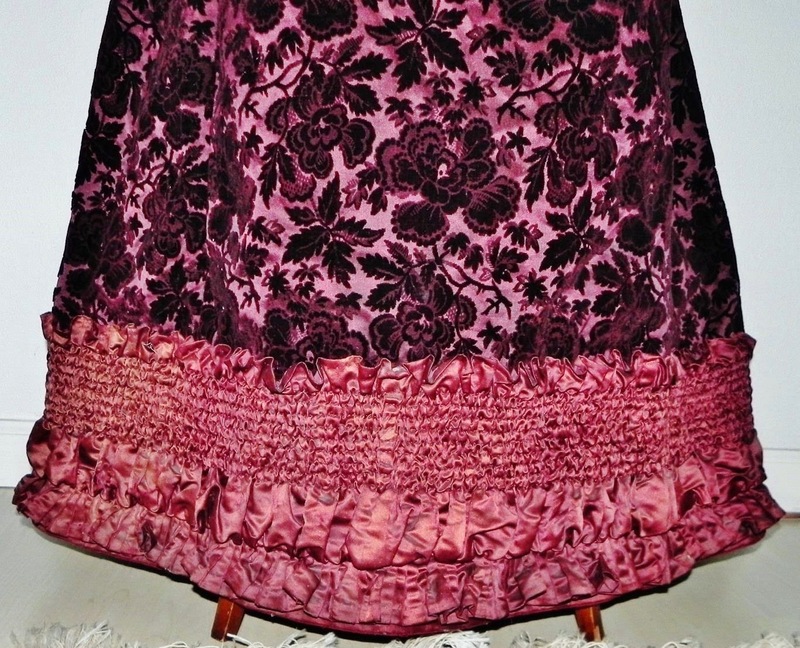 A - line siluette patterned velour SKIRT with heavily draped silk satin bottom, three - layered silk full bustle back and back hooks. 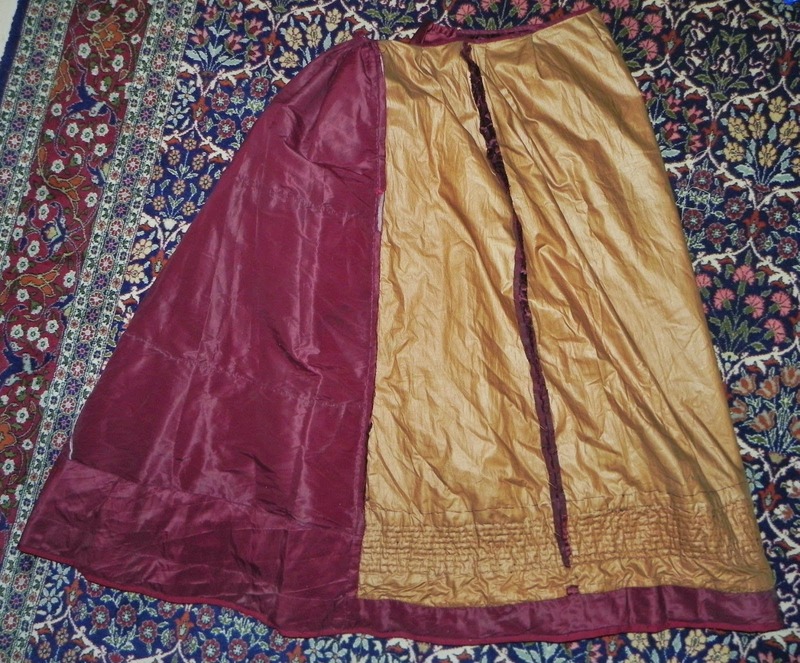 The skirt is fully lined in olive satin and burgundy satin. 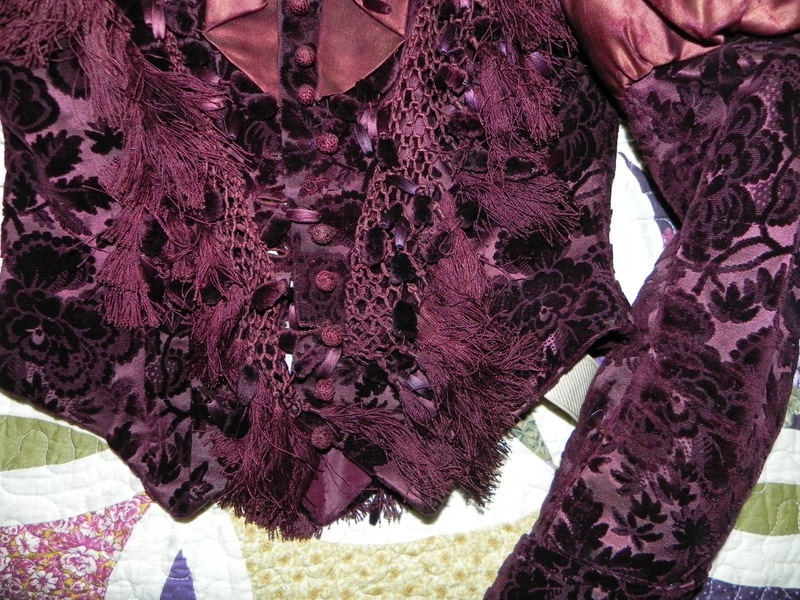 The bodice inside is shown on the last picture. Please, look at all the details of the dress. Unsized, looks like size XS or S, but please, follow only measurement shown in description and compare with your regular garment to prevent any problems. 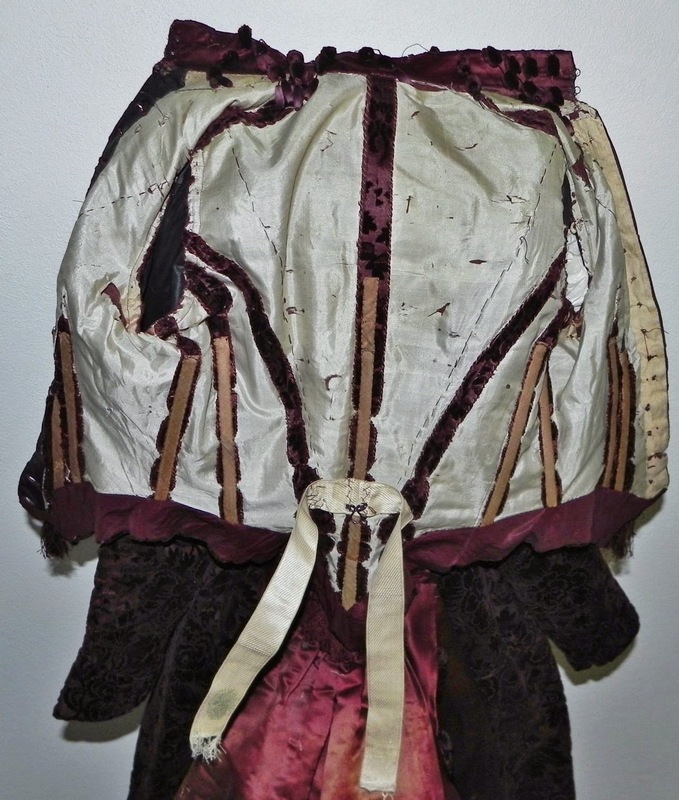 We do not however have the original bustle cage or padding. 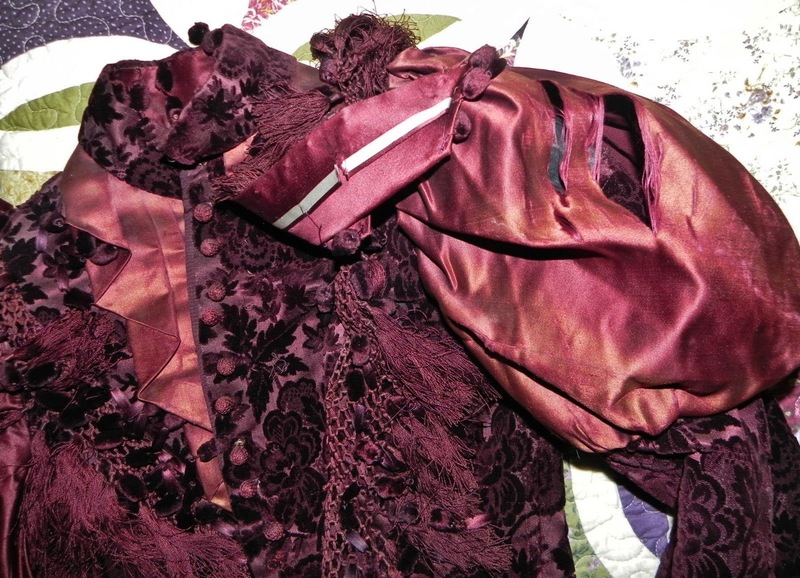 The dress came from the famous San Francisco Bay area auction and they never inform us about item history or previous owners. 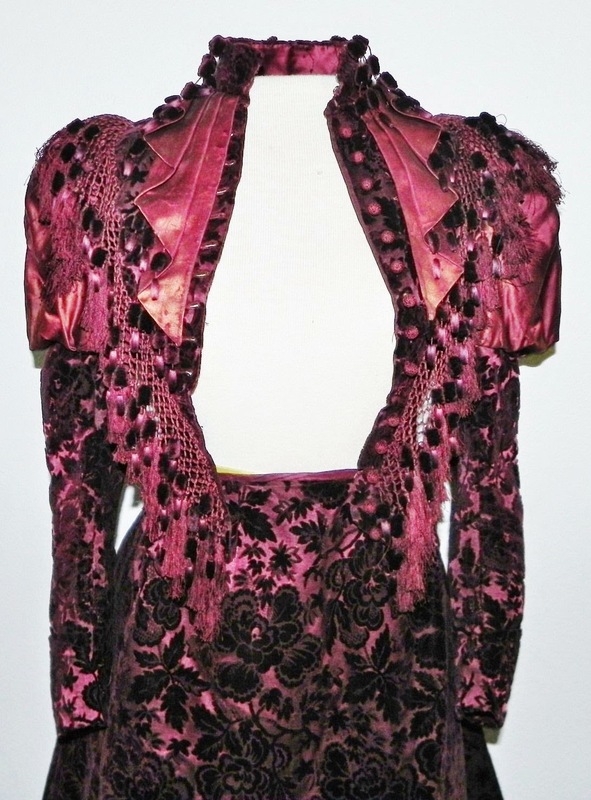 The lot was titled: Sculptured Velour and Satin Victorian Dress and we trust them. 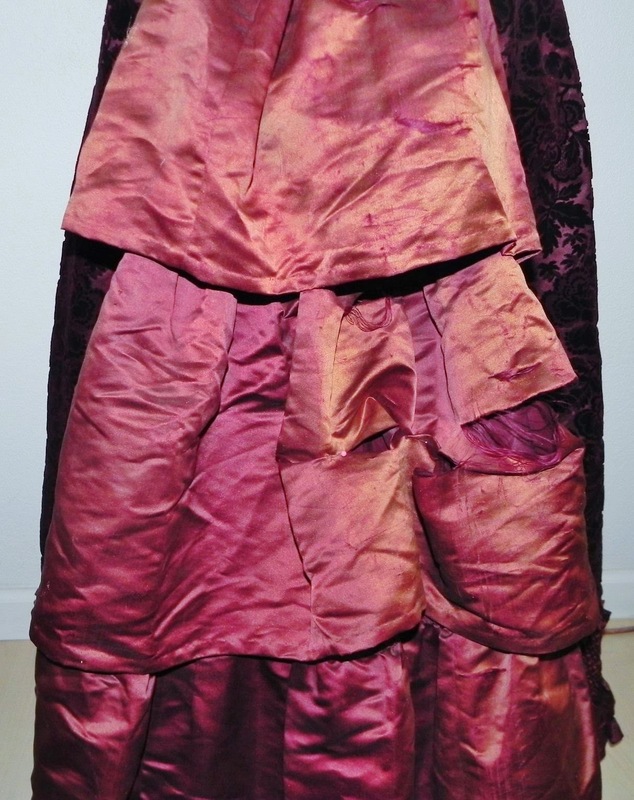 The suit / dress is in perfect antique condition commensurable to the more than 130 years old garment: although the velvet is strong and literally in excellent undamaged condition, the silk satin is very fragile from the age with tears on the back part of the skirt and sleeve heads; one minor overstitched tear on the lower front loop (bodice), pic.10, one lower front button is missing (pic.10), a couple of velour tassels on the collar edges are missing; the left lower corner of silk plastron is unstitched; we don't see more problems with velour, it is still very strong, with no tears or holes. 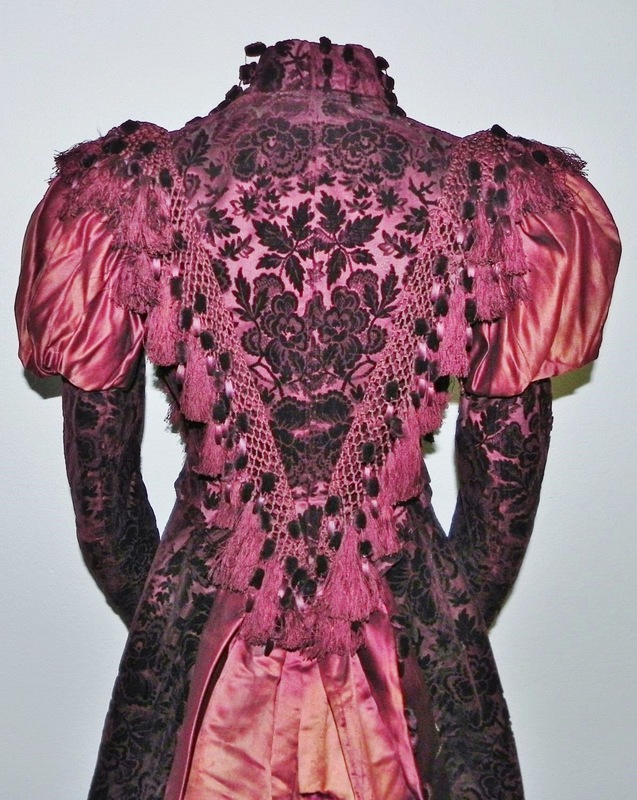 We did not removed any pins on the silk satin back in a reason not to damage this beauty - overall unique pristine condition for more than 130 years old garment! Please, examine all 12 pictures as a part of description. 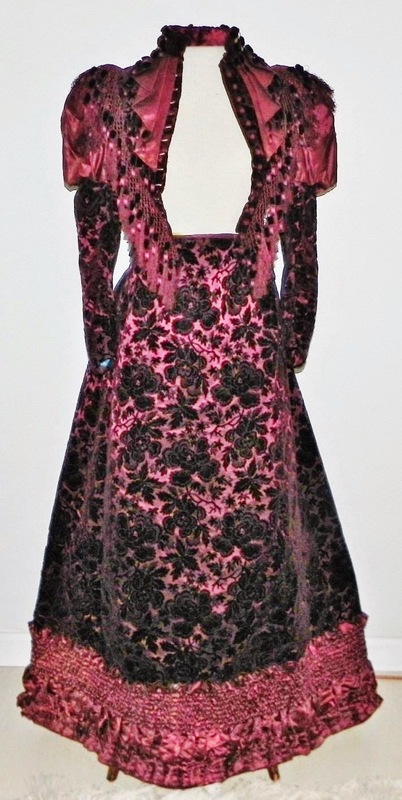 We will list today more true vintage dresses, and will be happy to combine auctions for reduced shipping charge. Please, note: we are not experts and try to describe each item in our best ability, but possible we did not figure something very important to you - please, email us with any questions. So..it's velvet not velour. It's also called cut velvet, not sculptured. Amazingly, this one isn't quite my taste. 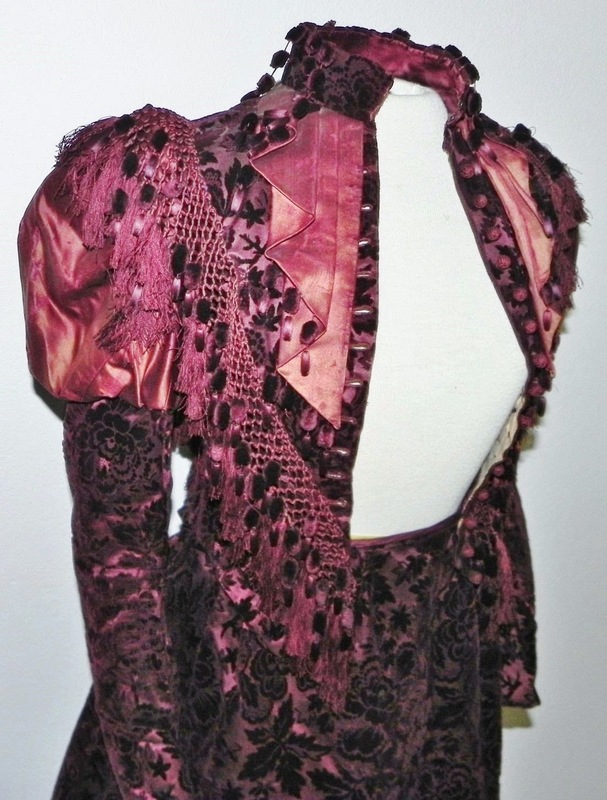 I can see where others might want to wear it - possibly with a lovely black lace veil attached to a cute little hat?